This forest, which stands just between the towns of Clovinstand and Faun’s End, is steeped in legend. The wizard Leemus Longbraids is said to have lived in these woods during the first Age of Een. Some stories say that the wood earned its name when the wizard landed there after returning from the outside world on the back of an owl. Other stories say that it was near this place that Leemus famously stood against the monstrous armies of the Wizard Grendel Greeve. 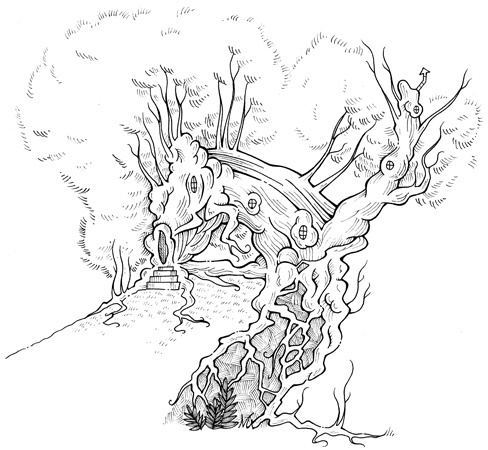 Whatever the truth of ancient history, Fledgling Wood became a major location in the battle between Een and the outside world during the time of Kendra Kandlestar.